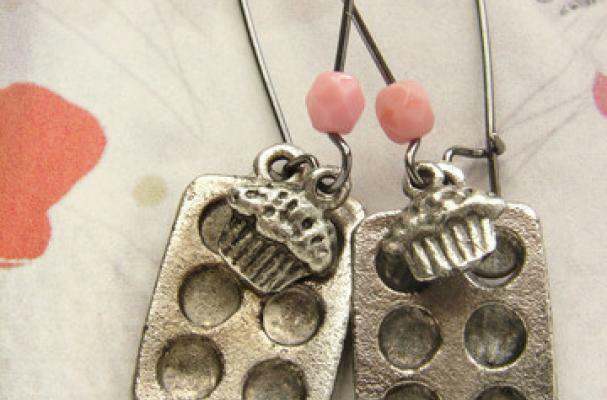 Cupcake earrings designed by Sora Designs are a sweet accessory. This gift is perfect for the family baker or anyone who has a sweet tooth. The earring are composed of using a antique silver cupcake charm and a baking pan. These earring can be purchased at the Etsy shop for $14.50.